Retargeting – also known as remarketing – is used by most professional marketers. But innovation in the field has been slow and frustrations with sloppy methods are prevalent. The major flaw of most retargeting strategies is that they assume all website traffic that has not yet converted should be targeted. Anyone who regularly uses the internet knows this is not appropriate. Often, we’re just browsing. Other times, a product or brand simply wasn’t the right fit for us. Spending budgets on targeting these types of customers is hugely wasteful – and can also have a detrimental effect on a brand’s reputation. 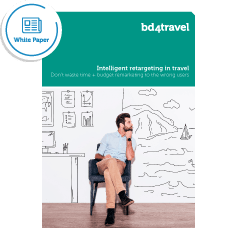 Making a little more effort to retarget in an intelligent way is a win-win situation for both travel sellers and customers. Find out more about our AI-driven approach to intelligent retargeting.